Those who have been through the 800 calorie, 8 week, Blood sugar diet and who support others in a group on Facebook have a method for describing which week of the diet you are on. Some of them do several rounds of the diet because they have a lot of weight to lose. It is suggested that you have a “rest” between successive rounds of dieting, so they say whether they are on round 1, round 2, etc. As it is an 8 week diet, they also say which week they are in, week 1, week 2 and which day of that week, 1, 2, 3, etc. At Christmas, I ate what I wanted for a week, then didn’t weigh for a couple of days! 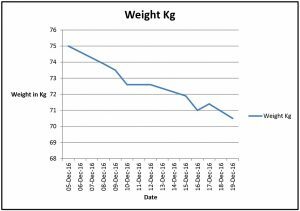 When I first weighed again after Christmas, I was 71 Kg, yesterday, I was 67.1 Kg, so I have lost nearly 4 Kgs in this New Year. Very pleased with that. The rule of thumb for this diet is that you lose ABOUT 10 per cent of your body weight in a round of dieting. So by the end of this 8 week round, I should have lost about 7 Kg, about 1 stone or 15 pounds in weight. That would take me to a weight of about 10 stone and that would be reasonable or a little overweight for my height. Ideally, I would like to reach 9 stone in weight but that won’t happen on this round. So someone on round 1, week 3, day 2, would write it down as R1W3D2. This allows for people starting on different days of the week – you don’t have to wait for Monday! If the time is right for YOU to start the 80 calorie, 8 week, BSD, then do it. I originally started it on a Saturday, after reading Dr Michael Mosley’s book and realising that I needed to “do something” about my weight. This was near the start of December. I stopped for Christmas and decided to start again in January and complete the full 8 weeks, unless I reached my target weight first! (That is highly unlikely, in case you were wondering.) At the moment, I am R2w4d4, although I did not complete round 1 – that’s still a benefit because I lost 4Kg in that half round, that’s nearly 9 pounds and well over half a stone. Back, well before Christmas and for a long time before that, I had felt my heart was being compressed when I lay down on my side to sleep at night. It would bump and I would have to lie more on my back, which would lead to me snoring! It was my impression that the creeping amount of belly fat piling on my middle could be contributing to that. (Now let me say right here, that if you feel this way, go and see your doctor. It is my choice not to go but if you feel your heart is not behaving in the way it has done previously, then get it checked out!) By Christmas, when I had completed between 3 and 4 weeks on the diet, that was no longer happening and I was also sleeping better – a BIG bonus for me. Now, on round 2 of the diet, I have actually slept in a couple of days recently. Being retired, that is fantastic. I had 2 pairs of jeans in my wardrobe that I liked but haven’t been able to get into for a long time. I had even tried wriggling while lying on the bed sucking my belly in and pulling hard on the waistband to do it up You might enjoy watching someone do this, because this is exactly what I would try, getting VERY red in the face! I can now get into the bigger pair of jeans, with no muffin tops hanging over the sides and can wear them all day comfortably and even bend down and sit down without either feeling they were going to rip or that I was gong to do myself a “mischief”, they were so tight. So big win there. 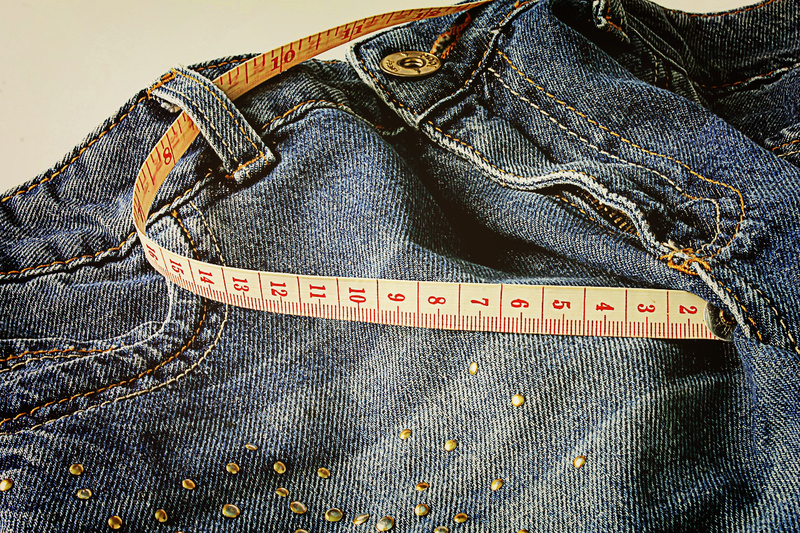 The smaller pair of jeans will now fit on me and I can do the waistband up and the buttons, without spare pieces of belly poking out, having been pushed down from further up. I still have muffin tops though, so a bit to go here, yet. I go on a walk most days with my husband, it includes a climb up steps to about a height of 180 feet and it’s a lot easier, now that I am not carrying the equivalent of 10 bags of sugar in addition to me! My jogging bottoms, different pairs of which I have now worn for years because I couldn’t get anything else to fit, now feel much looser around the thighs. I was very surprised to feel that because I had been concentrating on my belly and hadn’t thought to check how well my thighs were progressing. I think my appetite is being reset because big meals now make me feel over full – that’s a BIG benefit. I am totally surprised that it hasn’t been as bad as I feared before starting it. I read about it and thought it was just what I needed, so decided that I could do it for just one day and see how I felt. One day became, “OK, I have done this so far, what about 2 days?”. Just took it one day at a time and before I knew it, the first week was up. I hadn’t actually weighed myself at the start because I have not been able to lose weight for quite some time now and it’s discouraging but I assumed I started at 75 Kgs because that had been the lowest weight I had managed to achieve over the last few years (I was up at 81 Kgs this time last year). Being hungry. It’s not too bad, it’s just a “feeling” and doing something else puts it out of mind. Life can throw a curve ball sometimes and previously I would go to the kitchen cupboard and take a spoonful of something to “make me feel better”. It never worked but I still kept doing it. I had a big job to do last weekend and ended up on one day eating far outside my 800 calorie limit, although in my defence, all the calories came from “sensible” food, not candy. I didn’t have my celery available, so I should have taken some with me. Deprivation. It used to bother me when people could eat large amounts of chocolate with no problem. I have accepted that I can’t. Besides, the amount of sugar icluded is bad for anyone, even if they don’t put on weight, so I reframe it as “I am glad they are enjoying that and I am glad I can enjoy my juicy, crunchy, celery”. I now keep a head of table celery in my fridge at all times, it’s a useful “go-to” food if I feel hungry or deprived or my mouth is bored. I am also taking in plenty of other sources of fiber and drinking lots of fluid, hot and cold. I have another 4 weeks or so to go on this diet. From dieting over the years, I think I need to keep a watch on my weight once I reach my target weight and take action if it starts to creep up again. I started the 800 calorie Blood Sugar Diet on a whim, two weeks ago. Not exactly a whim but I had read Dr Michael Mosley’s book on the 8 week, 800 calorie BSD and finished it on the Sunday. It made a lot of sense and it mentioned that the patients in the clinical research trial run at Newcastle University had been put on liquid “shakes” to ensure their calories were counted correctly. I had protein shake in the house, so I decided that from the next day, I would try the 800 calorie 8 week diet. I told myself that I would try it for one day, that I could last one day and then I could go back onto my normal low carb diet. I was just going to try it out. It can be useful to tell yourself this kind of story, looking forward just one day at a time, rather than saying, I HAVE to do this for 8 weeks, when it can seem like a life sentence! Two weeks later, I am still on this diet and it has been completely possible, I have NOT felt like eating the table leg because I was so hungry. I can’t say that I haven’t felt hungry at all but it’s odd, the hunger has just been a sensation, a feeling, that I was able to acknowledge was there, without salivating or feeling I had to get something to eat. I have kept a chart of my progress, with the number of calories I ate each day and with my abdomen girth and my weight taken when I had access to a weighing scale. Over the two weeks, I have now dropped 4.5 Kgs, this is 10 pounds in weight! I am at the lowest weight ever for years and I have every expectation that I can break the 70 Kg barrier tomorrow or the next day. This is REALLY exciting for me, as I have not been this low a weight since I discovered (or was introduced to) the Atkins diet back around the year 2000. I don’t have breakfast until about 11.00 am most days, because I go for a walk and do not eat until I return from that. I have found that a 100 calorie protein shake, with a cup of tea or coffee to follow, fills me nicely. I have a shaker bottle and a scoop. I add a little water to the shaker bottle, add 1 scoop of protein shake, put the top on and shake to mix it up. I then add more water up to the 500 ml level (about 15 fluid ounces). I drink this slowly. The current flavor is chocolate smooth. I also enjoy blueberry and strawberries and cream flavors. The shake I use is NOT marketed as a diet aid but as nutrition for athletes. 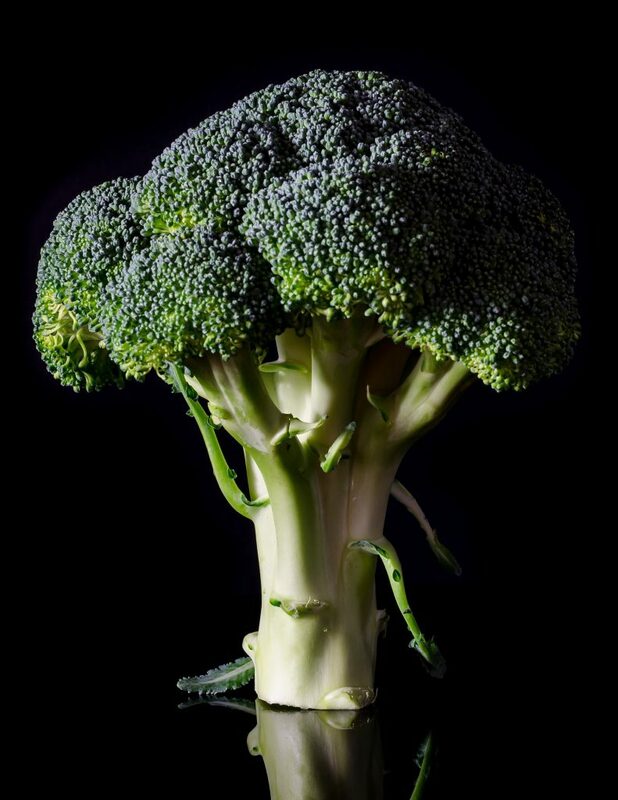 It is high in protein and uses artificial sweeteners, to keep the calories low. It is my feeling that by taking a large amount of fluid with the calories, my stomach can feel full even BEFORE the calories hit the digestive system. I take another of these at about 2 pm. By that time, I am starting to feel a bit hungry but the shake fills me up again, so I last until dinnertime with no problems. For dinner, I generally have what everyone else is having, except, no potatoes or rice or pasta or bread. I just have the meat and a non-starchy vegetable, such as green beans, or cabbage, or cauliflower, etc. I was surprised and pleased to find that a dinner like that is about 400 calories. (I haven’t actually tried any different recipes but there are plenty of recipes available for the BSD if you want.) Together with the shakes earlier in the day, this makes about 600 calories. You might think that is great but NO! Read on to find out why. Since I realised I could stick to this diet for at least a while longer, I decided to find a support group online, to share experiences and help. I found a closed Facebook group for the 800 calories, 8 week blood sugar diet and applied to join. They were very quick in approving my application and very welcoming, with lots of members there. I immediately found that I should NOT try sticking to 600 calories a day, as my body might think it was being starved and possibly reduce my metabolism to slow weight loss! They advised that I should add a little fat to make my intake up to 800 calories a day. I love almond butter and have that in the house but a small teaspoonful of that has about 100 calories and I have been used to eating a LOT more than that. I was concerned that I might go back to eating a lot of almond butter, so decided instead to put butter on my vegetables at dinner. One ounce of butter has about 200 calories, so that made me up to the 800 calories a day. Other alternatives suggested, were to add cream to coffee, also very nice. They were also able to point me to information on dealing with constipation. The group talked about various “rounds” of the diet. It seems that some people go on the 8 week diet, take a rest, then do another round. I had never even thought of that! There is a LOT of information, recipes and support available if you want to do this diet. Quick weight loss. I have lost about 10 pounds in 2 weeks and feel I could lose a bit more with no real problems. My target weight is 126 pounds, 9 stone, 57 Kgs. According to the height and weight charts available online, I am currently in the overweight category. My target weight is in the middle of the “normal” category. Constipation. It’s the same with many diets, the reduction in carbohydrate intake reduces fiber intake. In my case, the almond butter provided a lot of fiber. I need to replace that with more vegetable fiber. Felt a bit cold during the first week of the diet. The weather was cold but I don’t normally suffer too much with it. Not as cold feeling this week. Christmas will be here in less than one week and I feel it is highly unlikely that i will stick to this diet over Christmas. 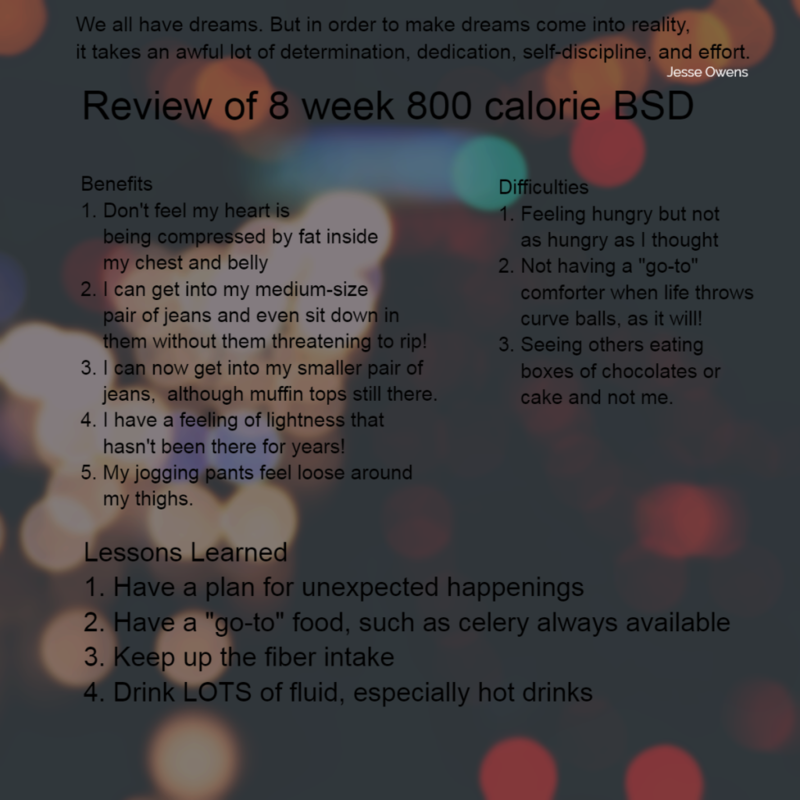 BUT the Facebook support group for BSD has planned an 8 week round starting 2 January. I will be on that. Lose Weight Fast – Possible? 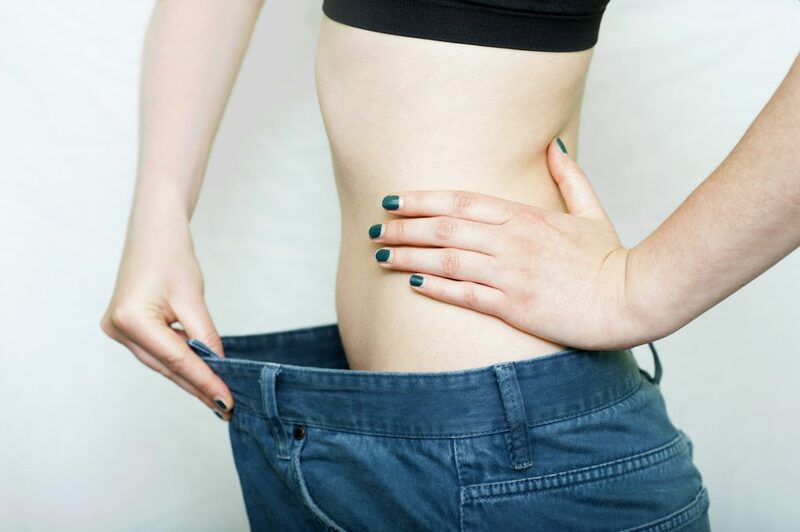 Is it possible to lose weight fast? Is is safe? The answer to both those questions is YES! And you do not need to starve yourself, do workouts to exhaustion or follow crazy diets to do it. It’s not a press button solution, you will need to follow any prescribed diet very closely, with no “just one won’t hurt” or “I’ll start it again tomorrow” attitude. Everyone makes a mistake or slips up now and again, that’s understandable and very human. Yes, you can start again, right now. But if you are dieting for a special occasion or for a particular health reason, then you will need to follow any diet as closely as possible, to get the results you want, in the timescale you hoped for. One of the diets has been tested out on diabetic patients at a University in the UK. These patients were put on an 800 calorie 8 week diet under medical supervision. Some of those that completed the diet reversed their type II diabetes! The patients were put onto a liquid diet (shakes) so their calorie intake could be closely monitored but others who heard about the clinical trials worked out their own 800 calorie diets and got the same amazing results. You can read all about this diet in the Blood Sugar Diet by Dr Michael Mosley. The other diet is a 3 week, totally “All done for you” set of manuals with all the information and motivational techniques you will need to create a tailored diet system for your particular body, including all the foods to eat and not eat. If you need to lose 12 – 23 pounds of body weight and 2 – 4 inches from your waistline in 21 days, then this is the diet to try. All you have to do is Click Here! Are You Sure It’s Safe? Received wisdom up to now has been that slow and steady is best and for many people, that’s the best way to do it, if you can. The reasoning behind it was that taking things slowly allowed you to change your dietary habits to find a healthy form of eating that kept you at your chosen weight. But that doesn’t work for everyone. Maybe you have an event to attend. Maybe you have received bad health news about your blood pressure, your cholesterol or even been told you have pre-diabetes or diabetes and been told you are going to have to go on medication for life. For other people, going slow doesn’t work, they want results NOW. In these cases, you may want to lose that weight FAST. If you have any concerns about your health or whether you should try these diets, talk to your doctor. They may not be happy about a crash diet but may be willing to let you try one of these for a short period of time, especially if you want to lose weight in order to stay off medication. If you try one of these, even for a week, then go back to your doctor to check your blood work or health levels, you and your doctor may be pleasantly surprised. The best way to gain your doctor or health adviser’s approval is to read up on your proposed diet so you can discuss all the recommendations for action and then try your chosen diet for a period of time, then go back to discuss the results. Who knows, you may convert your doctor!